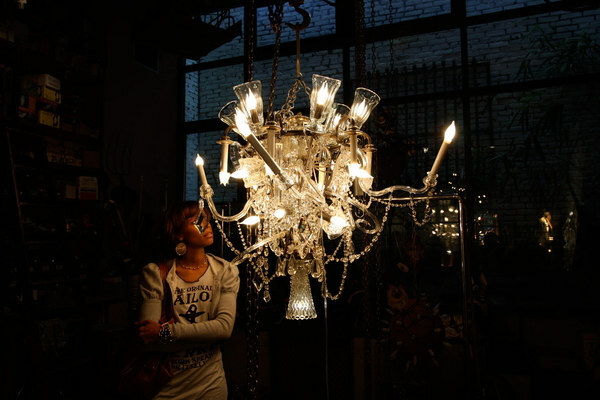 Here’s the latest post from our fav contributor, Anna Corpron of Sub Studio. A HUGE congrats to her and Sean who just got married (hence the quietness from them the last few weeks) and ran off to honeymoon in Vancouver, Whistler, and Victoria. Lucky! 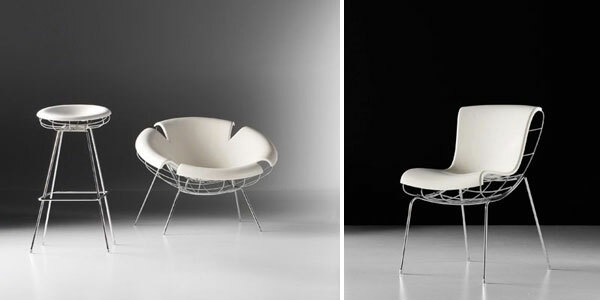 Hector Serrano is an innovative, Spanish product designer who puts a new spin on familiar objects, materials and forms. His work is playful - take the Fan Txt (image after the jump), a reinterpretation of the traditional Spanish fan - often used as a flirtation device - now updated with text messaging capabilities. Like the guy in the corner? Fan yourself and a pre-programmed message will flash for his benefit. 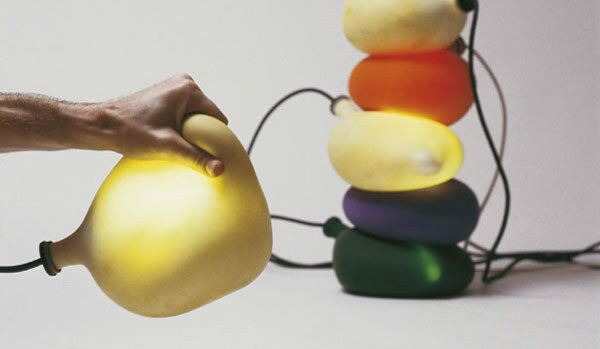 The Superpatata (above) looks like a balloon (or water bottle) but functions as a light and also as a pillow/bed warmer. Shade Elaine and i popped by the Dwell on Design exhibition yesterday… and honestly it didn’t feel worth the 20$ it would have been each (had Zinc Details not been nice enough to send over a comp code). But this was the highlight of the whole thing. DUTCH TUB! We’ve loved this one since both .org 1190 and .org… and were absolutely giddy to get to see one in person… unfortunately it wasn’t filled, and no fire was warming it… But we did force our way through the crowds to get you some close up shots below. For those of you unfamiliar with this incredible tub ~ it’s relatively portable… holds about 200 gallons of water that you can fill with a garden hose… and its wood burning! (you fill through the bottom of the coil, and burn wood within it to heat it). AND you can even use a wok on top of that coil ~ talk about getting the most out of your fire. For those interested in what else they didn’t really miss at the Dwell on Design Exhibition, check out the gallery of images we took… it really felt like an even smaller CA|Boom. Therapy. Can i really get it from a candle? If so, please do the world of NOTCOT a favor and send the above ones over, and it might be a whole new world over here! 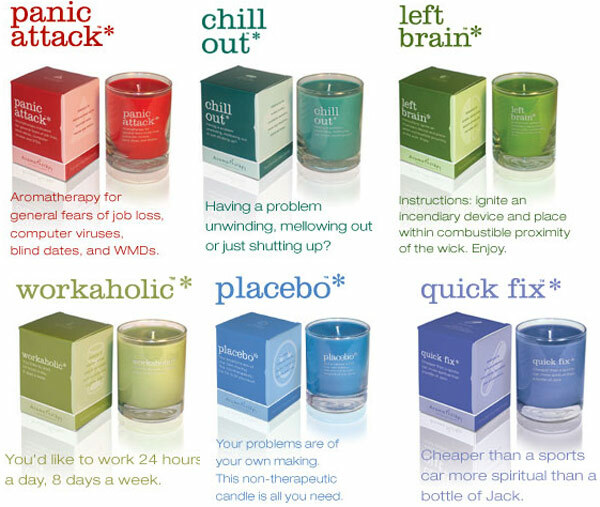 Aromatherapy Interventions - As i’m sure you’ve already guessed… i like their colors, packaging, icons, and cheeky descriptions… also check out some of the ones coming up for Winter 2008 below… as well as the Codependent one (two wicks! )… and for all of us Web 2.0 kids, there is even a Version 2.0 - “You have the latest version of everything. This candle may be all the upgrade you need.” I seriously doubt that, but it amuses me none the less this Saturday morning. 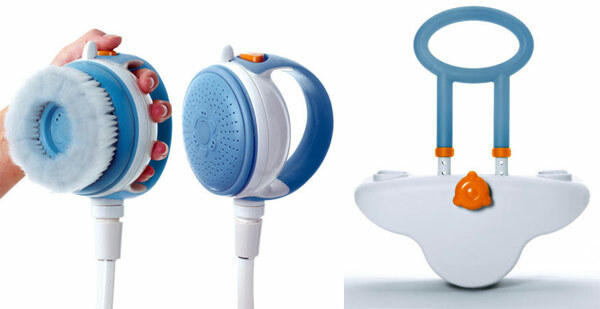 These pictures have popped up on flickr via Ecumenweb, and its fascinating to see that he’s designed a hand-held showerhead with built in brush, a tub rail that can be adapted onto any tub, and a bathseat. I must say they all feel a bit little tikes to me, in their inherent rounded, colorful, plasticy, simplicity. 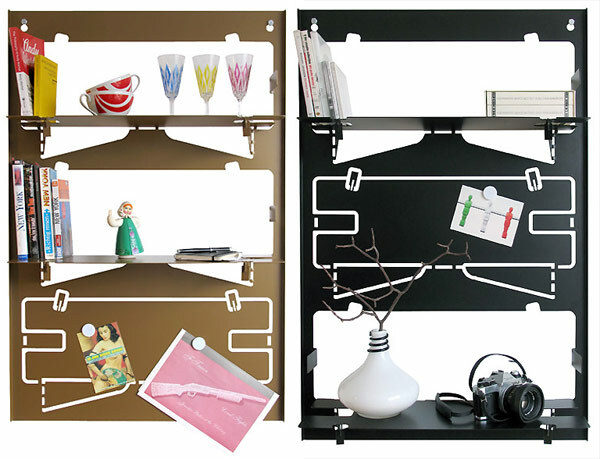 If you recall, i was hunting for coat hooks a few months back for a skinny hallway i didn’t know what else to do with… and since then have found even more options than the initial collage of links (as well as these)… and it seems that Delta Design made a similar collage for their “competing products” section (see image below). 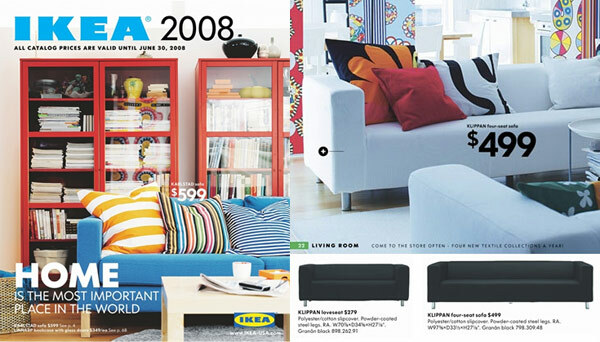 I just lost a huge chunk of my day doing the annual browse through the new IKEA catalog - come on, everyone does it - designers especially… can you help it? Even if you aren’t into IKEA, its just one of those necessary rituals to know what they are up to. And since this year i saw the digital before physical, instead of dog earring pages i screen shotted away and decided to share some things that stood out to me. Some are nostalgic, some are just fun. That above is the new extended Klippan that everyone and their mother has/had - now double in length! See more below. While Joom’s current collection is limited to just a few pieces, what they lack in quantity they more than make up for in quality. 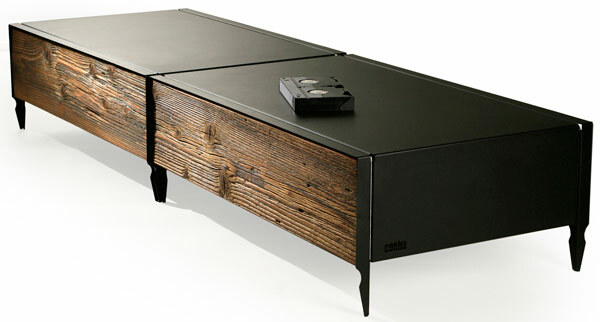 Joom offers a playful, South African-inspired take on children’s furniture and accessories. I would love to see them expand on the Mooj Cowcase so that I could have a whole zoo of animal bookshelves. Gorgeous light fixtures from Janne Kyttänen of FOC (Freedom of Creation). The 1597 is made from a series of tubes and was inspired by the growing pattern of the coneflower’s seeds. All of Janne’s work seems to be inspired by mathematical patterns from nature. I love that the fixtures sit on the wall without any visible cords or fasteners. Ewww. Good thing this so called furnitosis is so easy to cure. Bad posture from a not so ergonomic chair has never sounded quite so bad to me before, but these images over at Steelcase certainly make their painfully exaggerated point. See their solutions for these cases below. Thank goodness my Think which i reviewed earlier keeps me from having that crazy twisty neck! TODA (The Office of Design and Architecture) is a multi-disciplinary design office in New York City whose work spans industrial design, architecture, print and web design. 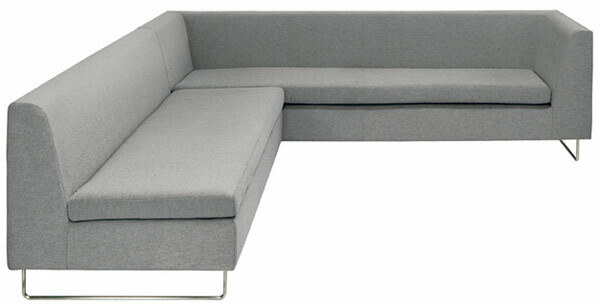 I’ve been a big fan of TODA for years, especially of their furniture/products, because of their conceptual approach to design. For Frighetto’s debut at the 2007 Salone de Mobile in Milan, TODA designed the Bean line of furniture, which explores form through structure and skin. Even though it is a ridiculously beautiful day looking out at SF today, i’m already dreaming about how nice it would be to have this gorgeous Ponton Fireplace to curl up by. “fireplace I is the urban interpretation of a campfire. it burns bioalcohol. material: fire resistant glass, stainless steel, size: 30 cm diameter, 40 cm hight, design wolf udo wagner, branded by geniol”… i love the concept of an “urban campfire”.